Switching to an iPad POS Solution is a great way to ensure that your business is using the most up to date technology, and enhance the current systems you have in place. Once you’ve decided that your business will transition to an iPad POS Solution however, it’s important to plan out how to get the rest of your team on board. Though iPad POS Solutions are designed to be intuitive and user-friendly, successfully training your team on how to adapt to the new POS is vital, as they will be the ones interacting with it on a day-to-day basis. Consider the following tips when creating your plan on how to successfully transition your staff to a new iPad POS solution. One of the most important things to do when transitioning your staff to a new iPad POS Solution is to ensure each team member is trained correctly on the new system. There are a few different ways that effective training sessions could be held, either on a one-on-one basis, in small groups, or as an entire staff event. The size of your groups will likely depend on the amount of staff you have, and the schedules in which they work. Regardless of size, it is important that every team member is able to interact with the iPad and app on their own. A hands on approach to learning how to work with the new software will help team members understand how to perform transactions, manage customer profiles, and navigate other in-app features. Make a game of it. Have employees compete against one another to see who can find inventory items first within the system, or process a transaction the quickest. Bring refreshments and/or snacks. Just about everyone loves to be fed, especially during meetings where team members have to sit, listen and learn about something brand new. Give team members the opportunity to participate. Throughout the training session, allow for Q&A periods to encourage participation and clear up questions early on. After training is over and the iPad POS Solutions have been implemented, team members may still need help or guidance on how to effectively use the new hardware. Printing out user manuals to keep in the staff or breakroom is a great way to keep vital information accessible to staff. Retail stores with PAYD Pro Plus can review, download, and print the PAYD Pro Plus Mobile Solution user guides and resources here. Restaurants with TouchBistro have access to support and training manuals and guides through TouchBistro’s website. One of the best ways to ensure the transition to an iPad POS Solution goes smoothly is to make sure that your hardware is installed by a Moneris technician. Having an installation technician visit you on-site to set up your iPad Solution and other hardware ensures that everything is set up correctly. After the iPad POS Solution has been installed, e-training is available for your business for a deeper dive into the app’s features and functionality. Retail stores with PAYD Pro Plus can request e-training from Moneris. 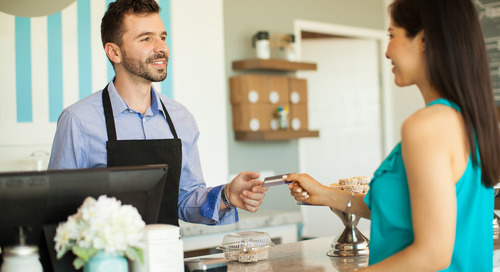 Merchants using TouchBistro will have training directly from TouchBistro, who directly facilitates both POS and payment terminal training with new customers. Looking for more information on Moneris’ iPad POS solutions? Learn more on our retail and restaurant pages!